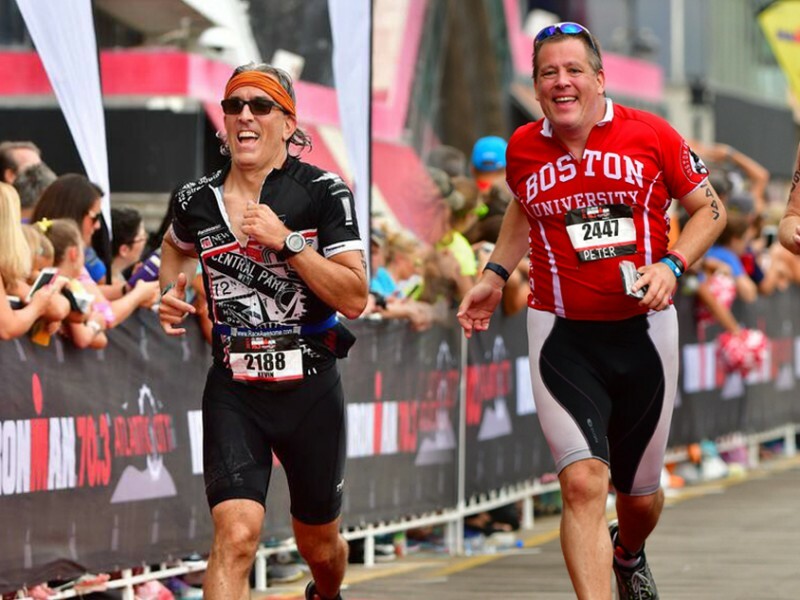 Bigbuzz’s Kevin Kelly competed with Peter Shankman, author of “Faster Than Normal” at the Atlantic City Ironman 70.3 last month. The title of Shankman’s book, released this week, not only alludes to his outracing Kevin in the bike portion of the Ironman, but discusses the power of harnessing his ADHD to gain a competitive edge. In his book he accredits his tremendous success to mastering the secrets of the ADHD brain to increase focus, productivity, and success. Check out his book here. When Peter Shankman first appeared on The Bigbuzz Podcast over 5 years ago, and then again on The Buzz Council Panel in late 2014, they had no idea such a great friendship would emerge. Years later Kevin and Peter are fast friends (literally) who share a handful of passions, including Ironman. While Peter has competed in several, he challenged Kevin to join him in the Atlantic City Ironman this year, to which Kevin agreed. After having completed the NYC Olympic Triathlon for the last two years, Kevin felt he was ready to tackle the Ironman 70.3. Both Peter and Kevin reached personal best records and are planning on meeting to do it all over again next year in both Maine and Atlantic City.